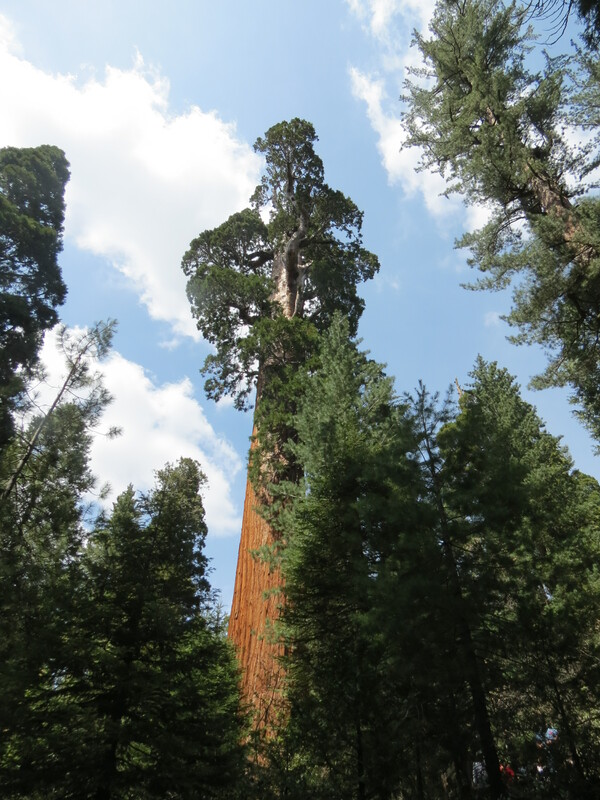 General Grant Tree Trail - Kings Canyon National Park - Beyond Limits on Foot! Directions: Going east from Fresno on the 180, after about 50 miles, you will reach Big Stump Entrance Station. 1.7 miles after you will reach and intersection, turn left to stay on Route 180 and drive another 1.6 miles and turn left on Grant Tree Road. You will reach the Grant Grove parking Area at the bottom of the road. The trail is shaped almost like the figure 8. We started on the trail to the right this time towards General Grant Tree. Before heading there we passed by the Fallen Monarch, you can walk through this tree; it was quite the feeling walking through a tree that had been living for so many years. We reached General Grant Tree’s Photo Point. This is where you can capture the grandness of General Grant Tree. The lowest branch of this majestic tree is 129 feet off the ground. General Grant Tree has a volume estimation of 46,608 cubic feet, weights over 1,250 tons and is 267 feet tall. Usually a story is no more than 10-12 feet. This would be as tall as a 27 story building. Make your way here at least once in your life to experience such vastness and tranquility. The General Grant Tree is the world’s third largest tree, known as “The Nation’s Christmas Tree” and named after Ulysses S. Grant, America’s 18th president and victorious Civil War General. Passing by some other historical experiences including: Gamlin Cabin (built in 1872), Centennial Stump (tree cut in 1875 – sent to Philadephia Centennial Exhibition of 1876) and Twin Sisters (joined together at their bases). Note to self: Come early in the day to beat the crowds.